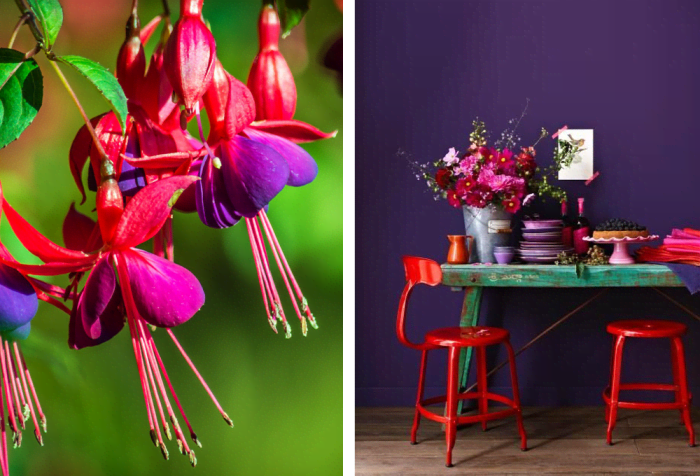 The choice of Ultra Violet as Pantone Colour of the Year 2018 has generated diverging opinions: some love it, some hate it…quite an anticipated reaction for such a bold colour! I must say I like pretty much all colours and I always enjoy taking inspiration from the world around me for palettes that I could use in interiors. And this time I’ve drawn from the best source ever: Mother Nature. 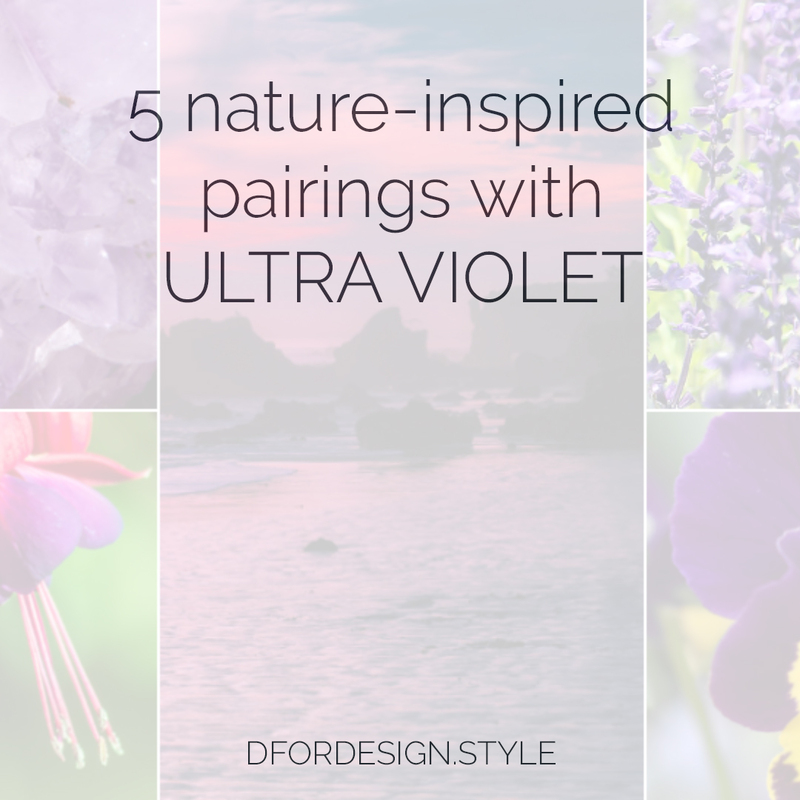 So let’s take a look at how violet pairs in nature and how we can recreate the same palettes at home! 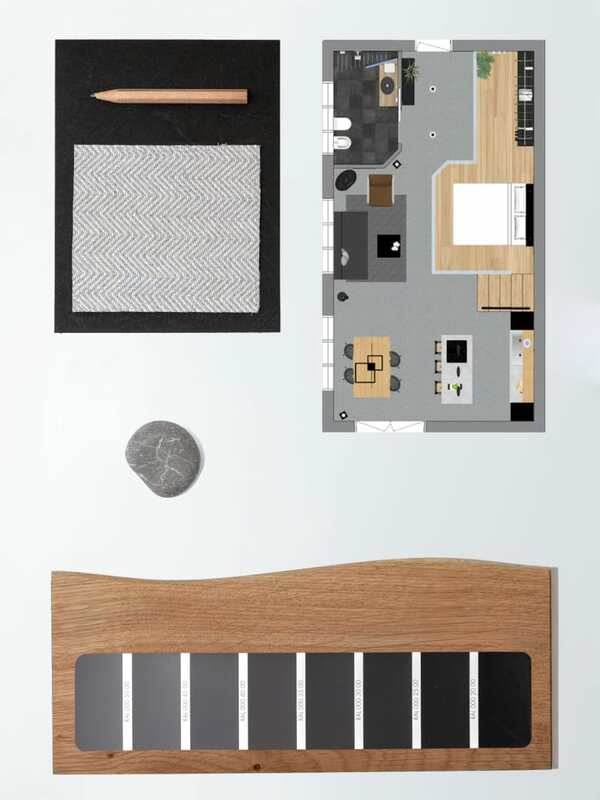 The idea here is to introduce few violet accents into a mainly white room. In this bedroom several shades of violet and a variety of textures and pattern are skilfully mixed to give dynamism to the design while keeping it rather muted overall. 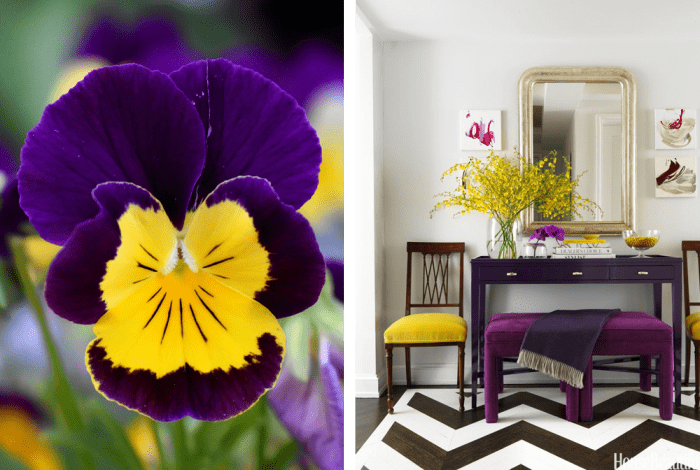 This pairing brings me back to my childhood: my mother planted these pansies in our garden every year and I spent hours looking at the yellow pop in the violet! And in the entryway below, the yellow touches are really refreshing! For instance, this would be a great way to transition from winter to spring! This is one of my favourite pairings with violet. It’s certainly unexpected at first but the result is so rich! 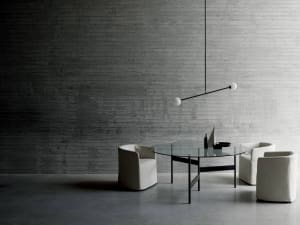 This room is a fantastic example. Actually this design goes even further as it mixes several tones of purple with different shades of red, plus few touches of pink. And the teal table is the perfect finishing detail to give some rest to the eye after all these reds and violets! 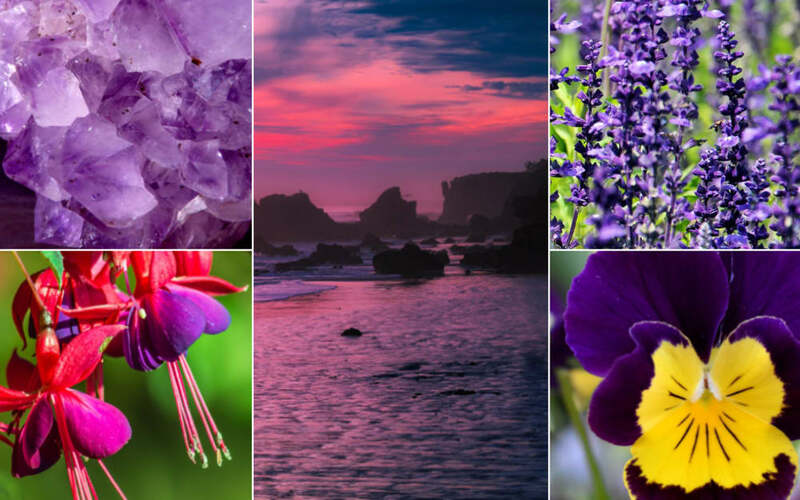 This palette is maybe the first that would come to mind when thinking about nature; after all every flower has a green stem and is surrounded by grass. And nature is also the green element in this outdoor patio. 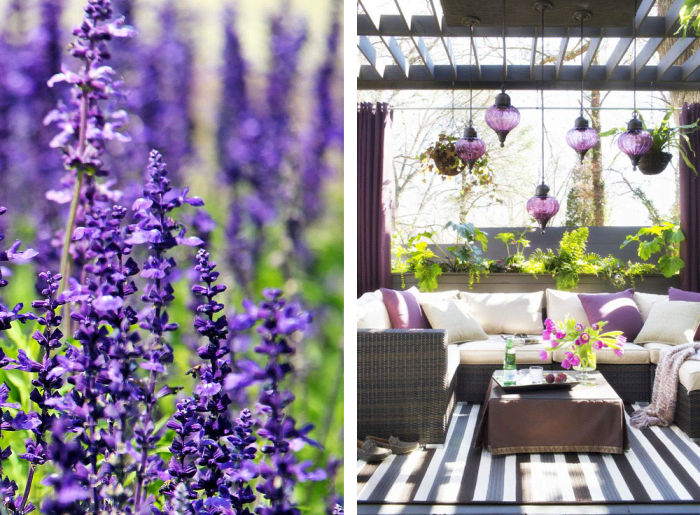 Decorated in neutrals and violet, it really comes to life when adding plants. 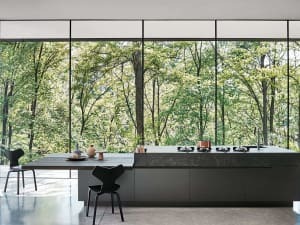 All this greenery becomes an integral part of the design and adds so much light to the space! I absolutely LOVE this palette! I don’t know if it’s because it reminds me of the sunset (now let’s pretend we’re not all dreaming to be on that beach!) 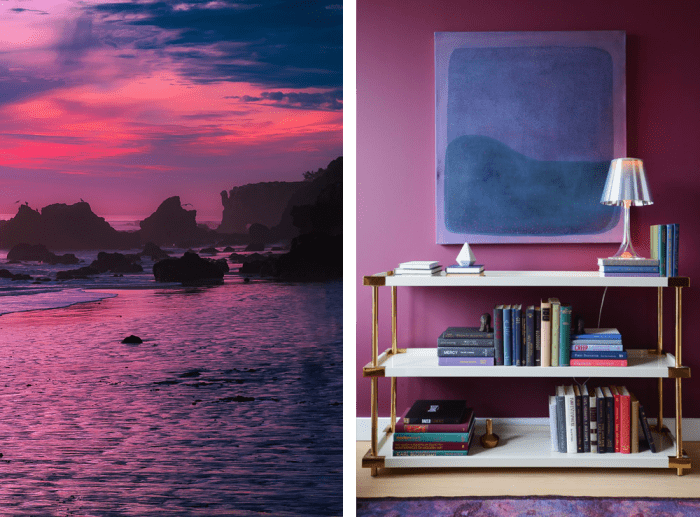 or simply because purple and dull blue are both deep colours, but I find this pairing so calming! What do you think of these pairings? 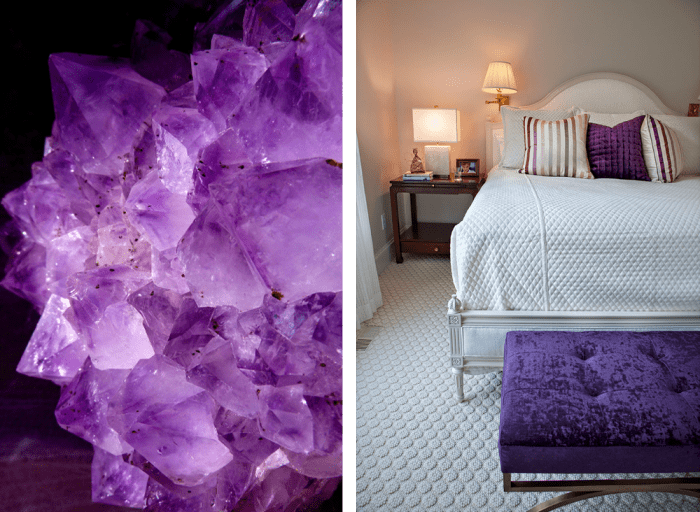 Any new plan to introduce Ultra Violet in your home after seeing these rooms? And how do you feel about Ultra Violet in general? Yes, no, or still uncertain? If you find it somehow intriguing, you can discover some curiosities on its colour psychology meaning in my previous article. 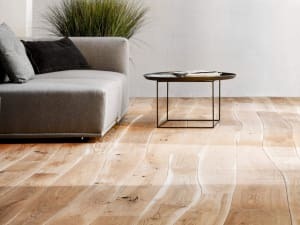 And if you're looking for further inspiration, browse through my dedicated Pinterest board, where I pin all the inspiring images and interiors I come across!